Okay, if I have learned anything about myself, it's that I like to over-analyze purchases. What ends up happening is that I make a spreadsheet, put a bunch of choices in, shop around and around and around and then get overwhelmed and pick something. 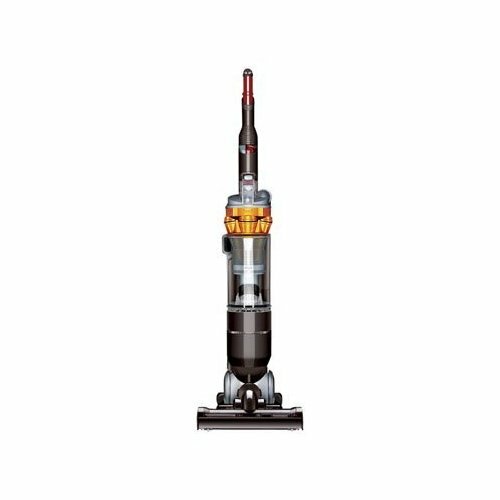 I started assembling a spreadsheet, and then I found this deal on a Dyson Slim (DC-18) at Macy's and just decided to buy it. I was not entirely sure how much I wanted to spend on a vacuum...I KNEW I didn't want to spend $500 as Dysons can often be, but I also knew I didn't want to spend another $50-70 on a cheap one that would spew dust around, so I was looking at models ranging from $150 to $250. This model used to retail at $400+ but has been discontinued, though the DC 25 is similar. It got good reviews on Amazon and on Macy's site, and I just jumped on it. It's currently (with the Memorial Day Sale) $249 at Macy's with free shipping. Anyway, I'm hoping this works! It's expected to ship on May 26...I'll keep you posted!